2018 – what will the future bring? A glimpse at our plans! 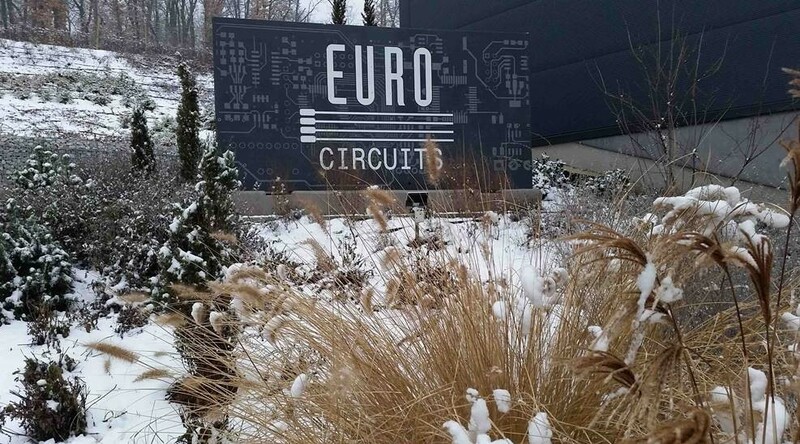 Another year has passed and it is now time to look forward to the new year and what benefits Eurocircuits will bring to Designers and the electronics market. We have adopted several philosophies which have made us the innovative company that we are today. To provide a complete one-stop shop to realise your design from CAD to Assembly. These principles are fixed in our company culture and are continually evolving to ensure that we stay ahead in the ever changing environment that is the prototype electronics market as does the environment and nature of the prototype electronics. With this in mind we would like to share with you our forecast of developments that we aim to bring to you during 2018, we have written a short blog where you can read about our visions for this year. Click on the picture to read our blog. During 2017 we built 2 dedicated film studios so that we could focus on providing more insight and training material in bite-size chucks. Why not take a look for yourself at our Eurocircuits TV and see how you can benefit. Eurocircuits TV has started to capture the production steps one by one. How do we make IMS boards? We publish articles as tip & tricks or videos on Eurocircuits TV to help our designer customers to maximise their efficiency by using our tools. Drill & Slot editor. https://www.eurocircuits.com/wp-content/uploads/160218_2.jpg 300 720 Dirk Stans http://www.eurocircuits.com/wp-content/uploads/2016/07/eurocircuits.png Dirk Stans2018-02-22 09:00:162018-05-14 15:43:58Looking forward to 2018 ! Eurocircuits have created a lot of media to help our clients achieve the most cost effective solution for their prototype PCBS, this includes design guidelines, BLOGs and Videos. Interestingly, we see that our video made over 5 years ago how a 4 layer PCB is made is by far the most successful communication we have made and used by many educational institutes to education the future designers and engineers. We noticed 2 things based on this, our customers want to know how their designs are made and that the most captivating medium today is video. During 2017 we built 2 dedicated film studios so that we could focus on providing more insight and training material in bitesize chucks with our Eurocircuits.tv and our Insight Technology. We will continue to produce these informative videos to provide closer connection to you about our tools, processes and developments. And we have some fun while we are making it ! Why not take a look for yourself at our Eurocircuits TV and see how you can benefit. 27-02 – 01-03 – Embedded World 2018 – Messe Neurenberg – Germany – COMING UP soon ! KiCAD is a free & open-source software suite for EDA. For a while now the layout engine of KiCAD has been more powerful than similar layout engines of some commercial EDA suites. KiCAD is available for Windows, OSX and Linux – in binary and source code. Apart from schematics captures and the layout editor KiCAD also offers a built-in 3D viewer that can be used to verify the layout and component placement. The open data formats and the availability of the source code make KiCAD a future-proof choice when it comes to EDA software. Further development doesn’t rest on the shoulders of a single company but on a large international community. The nuclear research center CERN uses KiCAD for many of their own designs and continues to contribute new features again and again. This workshop covers schematics capture and layouts using KiCAD. Creating new symbols and footprints will also be explained. In the workshop, Mr. Benedikt Heinz will also shine some light on the pros and cons when comparing KiCAD to other software like Eagle. In the workshop all participants will try KiCAD and all of the important features themselves. We will also create a tiny example project. Because of this you should bring a notebook. This seminar will be given in ENGLISH. Since EAGLE V8 Autodesk brought a lot of new functionality into EAGLE, there are some significant improvements that definitely help the design engineer to get his work done. Electronic design is no longer a stand-alone task. Most electronics is part of a complex product and this development needs interaction with for example mechanical design. This workshop given by Mr Richard Hammerl from Autodesk, offers you a quick start into EAGLE. You learn the basics of EAGLE so you will be able to start your own projects. We are at the Southern Electronics show 2018 in Farnborough and would be glad to welcome you at this largest UK electronics event. If you would like to follow our exhibition journey: packing our car, building our booth G165, manning the stand, capturing the atmosphere, than have a look at this eurocircuits tv post. Everyday something new here. https://www.eurocircuits.com/wp-content/uploads/looking-2018.png 518 800 Super Admin http://www.eurocircuits.com/wp-content/uploads/2016/07/eurocircuits.png Super Admin2018-02-01 12:19:352018-05-14 15:45:21Looking forward into 2018! Every year our international team gather together at our Technology center in Hungary to enjoy good food, great wine and review the previous year achievements and the coming years goals. This year was no exception and for 3 days we reviewed our achievements and discussed how we can continue to deliver the service and support expected to our customers and improve on their experience and tools. As you know we have not been slow at bringing new, innovating solutions to the market, 2017 seeing the biggest developments in many years, but are you aware just what we have done to help you to “get it right first time”? But there was so much more. We invite you to take a look yourself here. Eurocircuits TV has started to capture the production steps one by one.